East African side, Burundi on Saturday qualified for their first ever African Cup of Nations tournament when they drew with Gabon at home. Coming into the game, Pierre- Emerick Aubameyang’s Gabon wanted to win their last Group C game in Bujumbura to qualify for the Afcon finals but this proved a tall order for them on Saturday. 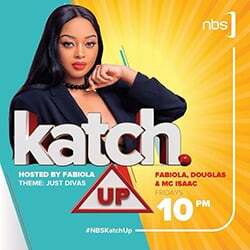 Having been denied a chance to see the back of the net by the Gabon goalkeeper on a number of occasions, the home side took the lead 77 minutes into the game through Cedric Amissi. 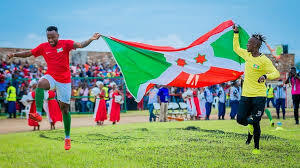 However, eight minutes to full time, Omar Ngandu’s connected himself to put the hosts on tenterhooks the goal was not enough to save Gabon as Burundi held onto the game onto the draw until the final whistle that saw them qualify. There were wild celebrations in Bujumbura after another East African country qualified for Afcon finals to join Uganda and Kenya who had already booked slots in Africa’s most prestigious football tournament for nations. Burundi’s qualification on the other side ensured more doom for Gabon who have only managed to end in group stages in the previous editions of the Afcon finals. Cameroon on Saturday also qualified for the Afcon finals to be held in Egypt later this year. Egypt in January won the rights to host the African Nations Cup finals for 2019 after being scrapped off Cameroon due to delays in preparation and security concerns. Egypt, who have won the Afcon trophy for a record seven times, will host the tournament for the third time in their history and the last time being in 2006. They will also become the first country to host the expanded 24-team 2019 Africa Cup of Nations (AFCON) finals set to be played in June, away from the usual January period.